You are in: Megan's Blog » archive » Yalgoo, lookout! It's National Science Week here in Australia, and it's been busy. I'd originally been going to do some talks at Como Science Fair, but they got the dates mixed up and told me it was on Saturday, rather than Tuesday. This was a problem as there was also a trip to do a viewing night at the primary school in Yalgoo (a few hours inland from Geraldton) on the Wednesday, which meant leaving Perth on Tuesday. 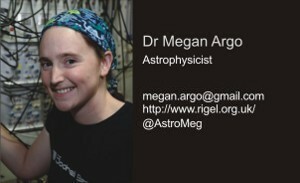 I couldn't persuade any of my colleagues to go to Yalgoo, being the middle of semester most people had teaching commitments and didn't want to take three days out to head north, but I did get a volunteer to take over the astronomy talks at Como Science Fair. So, I ended up going to Yalgoo. Not that I minded really, Como would have been fun, but I do enjoy going north. So, on Tuesday morning I picked up the four wheel drive, collected one of our students and his wife, loaded up with telescopes, and headed for Geraldton in the rain. We took a radio dipole and the digital projector, just in case it rained at Yalgoo. We arrived in Geraldton at 5pm and headed for Nagle Catholic College where the science department were hosting a teacher PD night on astronomy presented by Rob Hollow, the education officer for the Australia Telescope National Facility in Sydney. He had planned to get out a telescope and do a viewing night, but the sky was covered in thick cloud so we spent the evening doing classroom activities instead. It was a fun evening and I came away with a few ideas myself! My favourite was the expanding solar system model, using a large piece of elastic, several pegs and some galaxy pictures. It's a bit more effort than the balloon model, but it's much more useful and less misleading. The next morning we filled up with diesel and headed for Yalgoo at about 10am. After the cloud of Tuesday and the rain overnight, the sky was looking better but still not very promising. We arrived in Yalgoo at about lunchtime and found the school deserted. All the kids were off somewhere else, so we wandered around Yalgoo for a bit. After the rain over the winter, the area was looking amazingly green. I've only been up there a few times, but it was the greenest I've seen it. Some parts of the wheatbelt were actually reminiscent of Cheshire! As the afternoon wore on and we assembled the telescopes, the kids from the other schools arrived and the clouds began to thin out. By sunset the sky had cleared completely and we were in for a good evening. After the kids had eaten dinner, they all wandered over the street to the oval where we had set up. Once again, I had an argument with the 5-inch, resulting in it going back in its box and not getting used. That telescope and I have issues. The two Dobs, on the other hand, were superb. Rob manned one, showing off the Jewel Box, η Carina and ω Centauri, while Kevin looked after the other one, pointing at Jupiter. I wandered round with the laser pointer and tried to keep the kids from wandering off! After about an hour, the kids had had enough and disappeared. We took the opportunity to take some photos - the sky really was the best I've ever seen. By this point though, it was half nine and I was absolutely exhausted after a week and a half of non-stop rushing around - Science Week is great, and the fact that stuff actually happens here without an argument is just so refreshing. I was tired though, so after taking a few pictures and packing away the scopes, I went off to catch some Z's. I would have loved to stay longer, just enjoying the view, but I also didn't want to fall asleep driving home! Rob suggested we should have a trip north sometime where we don't actually do any outreach, we just come up with any other astronomers that want to come, and just enjoy the sky! It sounds like a great idea to me.